Refine your search of 24 internet providers in New York. Over 125,050 people in New York found the best Internet Provider with BroadbandSearch. #1. 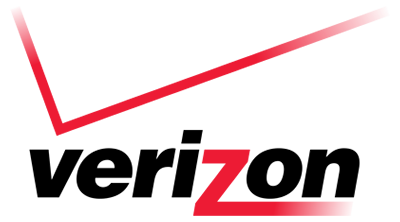 The Best Internet Provider in New York, NY is Verizon. What's great about living in New York? Besides the obvious appeal of proximity to the Big Apple to the south and the amazing skiing to the north, there's also the fact that nearly 100% of all New York residents have access to multiple wired internet service providers. Most New Yorkers can also get broadband speeds of 25 Mbps or faster, which is a big plus because fast, reliable broadband is now a must-have no matter where you live. There are more than 40 major internet providers in New York, and as you might expect, New York City is the most connected city in the state. Most internet providers in NYC offer speeds of 18 Mbps or higher. The wired internet providers in New York offer residential and business customers a choice between DSL (which delivers an extremely stable broadband signal over copper telephone wires), cable (which uses coaxial cable TV infrastructure to deliver a signal and is slightly faster than DSL), and fiber broadband (which uses bundles of tiny flexible glass fibers to transmit a faster, more efficient broadband signal). Fiber is generally considered to be the best high speed internet in NYC, and it is available to nearly 75% of city residents. Fiber infrastructure is expanding into the rest of the state - including into some rural New York counties. Customers who choose this option can get speeds of up to 1,000 Mbps. Living in the city or elsewhere in New York definitely has its perks! Those customers who can't yet get access to the high speed broadband provided by the gigabit internet providers in NYC or the other wired internet providers in New York can always access reliable broadband via satellite. Of the major internet providers in New York, nine offer widespread residential service in and outside of NYC. The biggest providers are Verizon (which has pledged to continue expanding its fiber and hybrid fiber-copper broadband networks), Charter Spectrum, Xfinity, Time Warner Cable, Optimum, and RCN. Smaller internet providers fill in the gaps, which is one reason why New York residents nearly all have access to broadband. As noted above, internet providers in NYC cover the entire city, but New York is bigger than the Big Apple. In 2015, New York State greenlit a $500 million broadband investment plan with the goal of achieving statewide broadband coverage by 2018. The reasoning behind the plan was that internet connectivity is now as vital to the economy, education, and safety of New York residents as any other utility. As a result of the initiative, much of the state has access to 100 Mbps broadband speeds and in formerly underserved and remote areas, it's not unusual for people to be able to get 25 Mbps plans. When you're comparing internet providers in New York, it's important to research what's out there using unbiased sources like BroadbandSearch. There, you'll find the latest information about NY internet providers' plans, availability, speeds, and prices. Armed with that information (along with recommendations from friends and neighbors), you can choose the right broadband provider and the right plan for your household. Here are the internet providers that have the best availability in New York, NY, ranked by quality of service. New York, NY has a total of 31 internet providers including 16 Fiber providers, 9 Cable providers, 11 DSL providers, 9 Copper providers, 9 Fixed Wireless providers and 2 Satellite providers.New York has an average download speed of 72.22 Mbps and a maximum download speed of 2.00 Gbps. 2650 Adam Clayton Powell, Jr. Blvd.